Now apply for BOB ATM Debit card online through mobile banking directly. 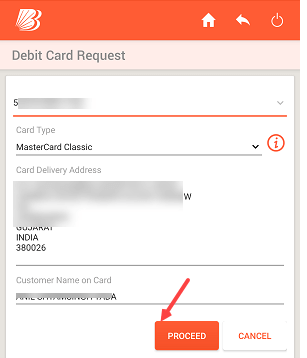 Yes, Bank of Baroda customers can now apply for Debit card online, no need to visit Bank. 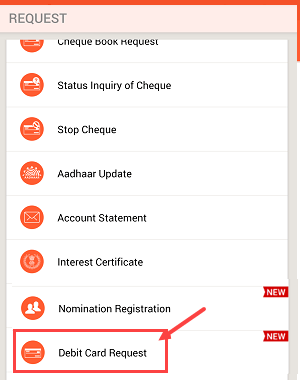 For some reasons, if you want to apply for a new ATM/Debit card in Bank of Baroda then request through Mobile Banking application M-connect plus. BOB offers VISA, Rupay and MasterCard ATM Debit cards, you can select any from these cards. So here is step by step guide on how to apply for BOB ATM card online. 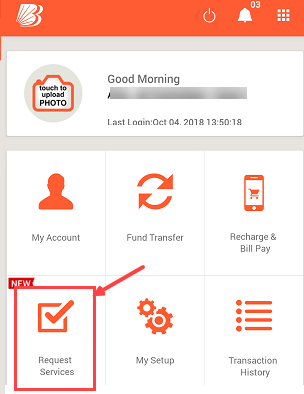 Step 1: Open BOB M-connect Plus mobile banking application and log in. If your Mobile Banking is not active then register for mobile banking. Step 2: After login, tap and open Request Services tab as you can see below screenshot. Step 3: On the next screen tap on Debit Card Request. 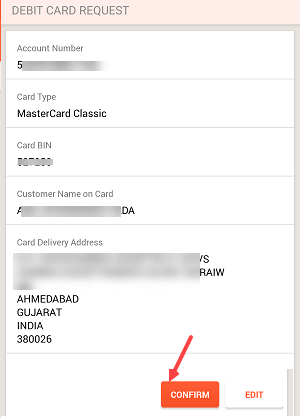 You can see your Card delivery address and customer name printed on the card, if details are correct then tap on proceed. Step 5: Finally check your details and tap on Confirm, enter MPIN. Congrats, you have successfully applied for BOB ATM card. The new Debit card will be delivered to your Bank registered address within 10-12 days depending on your location. After getting your new ATM card, you can activate and generate its ATM Pin through BOB ATM. Please block your old card to activate new ATM Debit card, you can not active two cards for a single bank account. So this is how Bank of Baroda (BOB) customers can apply for ATM Debit card online without visiting the branch. Thanks for made digital to us.